Baldung is kinda creepy! I vote him. Balla … just because the first Baldung picture FREAKS ME OUT! Baldung! Balla is creepy and freaks me out. 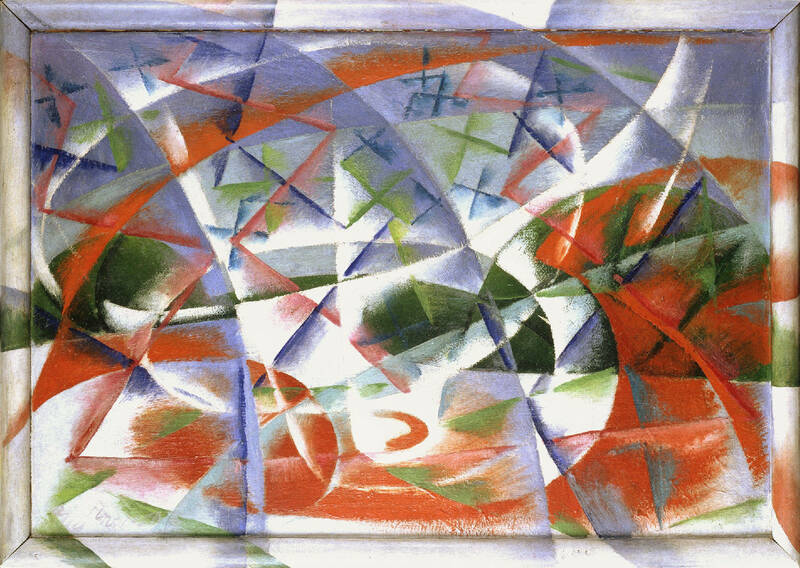 I never would have been so pleased with Balla if you hadn't made his paintings like a unicorn chaser after Mr. Creepozoid. But I really like the birds in the first one and the nice colors in the second, so Balla, thanks for being there, you get my vote. Man, I am really on the fence with this one. 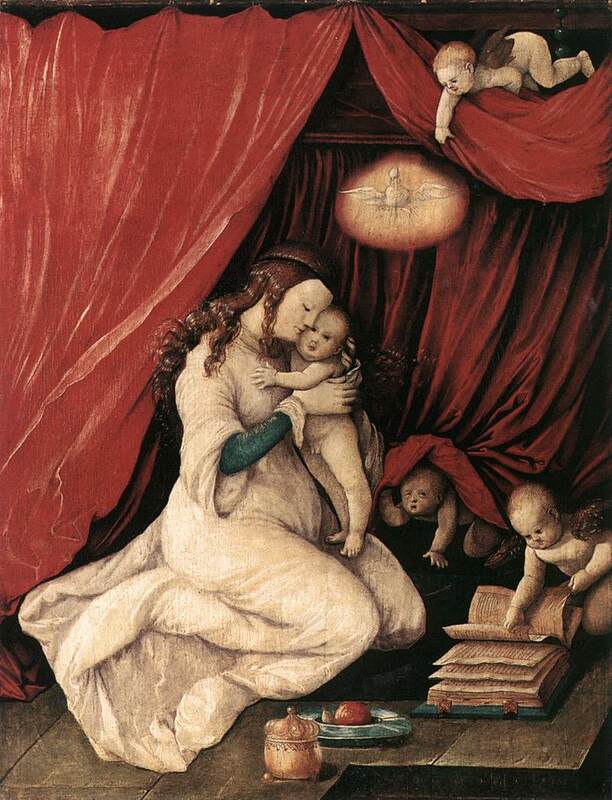 It's true, Baldung is pretty damn grim--even his cherubs look like a creepy infestation--but, hey, he's still getting your attention! 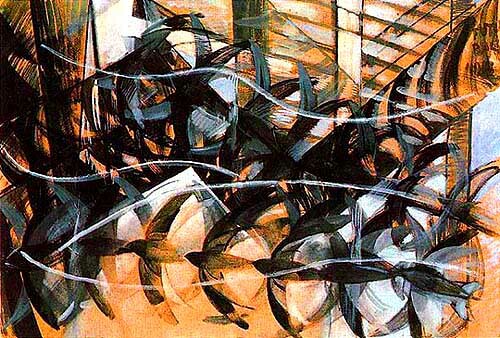 Whereas Balla is I think my favorite of the Futurists, but he's kind of following Duchamp here, isn't he? Not to mention Muybridge. Well, I'll thumb my nose at ye olde morality plays and go with Balla's celebration of motion. Balla. I like the motion. I especially like how the 2nd one spills out of its frame. I voted for Bacon even though he was creepy, but Baldung is too much for me. Balla is nice enough - I'll vote for him. I like the bird one quite a bit, and have had a weakness for Italian Futurism (sort of embarrassing because of their Fascist ties) ever since reading a copy of Marinetti's cookbook as an impressionable teenager. I really love both these artists, especially after looking at their other works. Baldung isn't just creepy, he's risque as well (Witch and Dragon! ), and just provocative in general. Balla is very pleasing to look at, and has wonderful lines and motion and energy. I like this kind of modern art. (Also, side note, the style reminds me of some of Lady Frieda Harris' work in Aleister Crowley's Thoth Tarot Deck, particularly the Swords). Very difficult, but I'm going to have to go with Baldung, I think, because there's so much "wrongness" in his work. And that's just SOOO right. I'm going, with Ben, for Balla. The fourth painting is the only one that really does much for me, and I think the frame-breaking is part of why I like it.